Comparative analysis of the microstructure and microhardness of austenitic-ferritic high-strength iron after heat treatments involving single-stage and double-stage quenching from the austenitic or intercritical temperature ranges and tempering is performed with the use of dilatometry, measurement of microhardness, and optical and scanning electron microscopy. 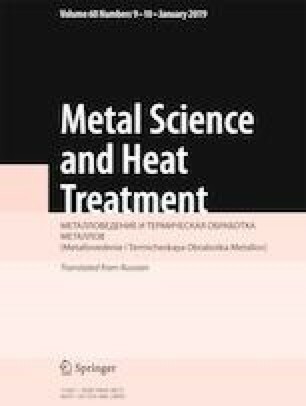 The possibility of the use of two-stage austenitization for heat treatment of austenitic-ferritic cast irons for raising their properties is studied. The first author would like to address many thanks to students for some experiments. The work has been supported by Basic Science and Advanced Technology Research of Chongqing cstc2016jcyjA0608.